There are many different things to talk about (as per usual) when it comes to Last Week Tonight with John Oliver — starting of course with Scott Pruitt. The new head of the EPA was completely eviscerated at the start of the show, especially when it comes to him being … let’s say difficult to wake up on a Wednesday when a door had to apparently be broken down. Having Oliver do a segment on Pruitt was amazing, but admittedly we were hoping to see this be a main segment as opposed to something that was at the start of a show. Beyond this, we also got a surprising segment on Hungarian politics, a fascinating discussion into possible dictators, threats into democracy, and a guy wearing a chicken mask. Apparently, joke parties and candidates are a thing in Hungary just like they are in Great Britain. Remember Lord Buckethead and all of the drama that unfolded with that? Related – Be sure to get some other news when it comes to the series! Well, this is certainly not something that we thought would be a focus of the episode. Oliver introduced a subject known as Crisis Pregnancy Centers — there are thousands of these places all over the world, even though we had never heard of them at all going into tonight. We’re not saying that to diminish their significance; we just don’t have that sort of worldview. Basically, the whole purpose for CPCs is to persuade expecting mothers to keep their babies, often by any means necessary. These centers, per Oliver, have the ability to lure women in thinking that they can use them in order to get abortions. Not only that, but they often figure out a way in order to intercept people heading to abortion centers in order to convince them to do something otherwise. This was a pretty shocking segment, mostly because it seems as though some CPCs are out more to push a political agenda — by any means necessary — than caring about the actual feelings of the expecting mothers that they are treating. They hand down bad medical advice, deliberately manipulate mothers, and offer free ultrasounds as a way to force an emotional connection. Some of their philosophies on birth control and condom use are also ridiculous. In terms of comedy, there were some funny moments in here — yet, the problem Oliver runs into hosting a comedy show here is that pregnancy and abortion aren’t really a laughing matter. This was a fantastic segment for information, even if it wasn’t necessarily a fantastic one for comedy. Sometimes, not every episode needs that. At the end of the show, Oliver revealed his new solution: Our Lady of Choosing Choice. He filed paperwork for his own Crisis Pregnancy Center. He introduced Vanned Parenthood, his own way in reach out to mothers. This was certainly about right for this show: Finding a tangible way to mock people who are taking advantage of people in need. 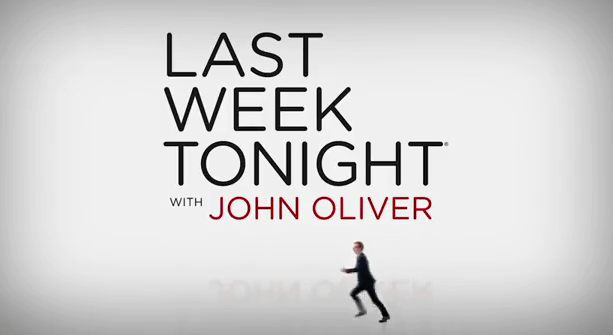 What did you think about this week’s episode of Last Week Tonight?